Rangers' ascent back to their rightful place right at the top of the Scottish football pyramid was supposed to be swift and straightforward. After all, their vast superiority in terms of talent, resources, and character - after all, they are The People - would result in all lower division teams being cowed and overwhelmed. And, to an extent, that's what has happened in the last two seasons. There have been hiccups along the way - failure to scoop even a Ramsden's Cup, workmanlike performances that expose the team to the occasional embarrassing result against far weaker opposition, a general lack of panache on the pitch (and that's before we get on to the off-the-field problems) - but the then-Third Division was won at a canter, and the Ibrox side finished their League One campaign unbeaten. Credit where credit's due; you can only beat what's put in front of you. The Championship was always bound to be a step up, with the majority of opponents running full-time operations, but the likes of Livingston, Falkirk and Queen of the South still don't really exist in the same footballing universe. Rangers have the second biggest wage budget in Scotland, a budget that dwarves every other club in the country bar their greatest rivals. So The Championship would be steamrollered with minimal fuss. 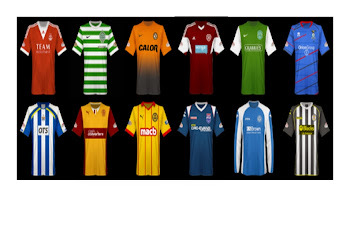 But then Scottish football all went a bit crazy last season. And when the dust had settled, the club relegated from the Premiership wasn't the sort of club one would have expected to be relegated - you know, a Killie, or a Partick Thistle, or a St Mirren, or an ICT or Ross County, a club only a bit bigger than those in the Championship, that is supported by only three-to-four thousand hardy souls each fortnight, that might prove a bit of a nuisance but would ultimately be overpowered over the course of a thirty-six game season with a bit to spare. It isn't one of those clubs Rangers have to battle with in 2014-15. It's only bloody Hearts. One of Scottish football's best-supported teams, brought to its knees by years of financial mismanagement coming home to roost. Sound familiar? Except Hearts didn't go bust and have to start in the bottom tier. They took their medicine, and bounced back via administration, albeit having paid the price of relegation. And, with their fate certain almost from the start of last season, they have ultimately made the most of their predicament. They enter the season with a young squad of mostly homegrown players, many of whom were thrust into first team action rather earlier than they would, or should, have been if circumstances were different. And with the experience they have got better and better. There's plenty of rawness in the squad still, but there is undoubted ability. Dale Carrick, Sam Nicholson, Jason Holt, Jamie Walker, Callum Paterson...these are some of the most exciting young players in Scottish football just now. And they are all still at Tynecastle. The new management team at Gorgie - Director of Football Craig Levein and Head Coach Robbie Neilson - have added a bit of experience this summer. Prince Buaben and Morgaro Gomis, both of whom excelled under Levein for Dundee United five years ago, should provide a steeley midfield platform. Swedish striker Osman Sow showed enough talent a year ago that Crystal Palace gave him a contract. Talented, hungry youngsters augmented by some canny veterans - that's really the path that Rangers should have taken, isn't it? Of course, the Gers have plenty of quality on their books; on paper, they should blow all opposition, including the Jambos, away...but football is not played on paper. On grass, Ian Black, Nicky Law and plenty of others (Lee Wallace is the obvious exception) have too often played down to their opposition's level. When they have been required to step up, they have so often been found wanting, as the Scottish Cup ties with Dundee United in each of the last two seasons have displayed. If Rangers do not approach the league with utmost professionalism and with a tactical acumen rarely displayed by Ally McCoist, they may be pipped at the post. Of course, the recent reforms in Scottish football led to the introduction of a playoff for promotion as well, so whichever of Hearts and Rangers does not win the division will still have a second shot. But, even without pointing out the perils of facing a top flight opponent fighting for their lives, many of you will have noticed the big green-shaped, Leith-dwelling elephant in the room. Hibs - Hibs! - were also relegated last season. While their nightmare summer has led me to automatically dismiss them as title contenders - they still don't even have a goalkeeper under contract, for goodness sake - they will surely rebuild sufficiently to finish in the top four and earn a playoff spot. In which case, all they will need to do is pull themselves together for three playoff ties in May to have a decent shot at getting back up. The bottom line is, at least one of the five best-supported clubs in Scotland is going to be out of the Premiership next season as well. Is it so utterly unthinkable that the club on the outside looking in could be The Rangers?